Angle stop valves are the most common stop valves found under the kitchen and bathroom sinks. There are some situations where straight stop valves are a better option such as when the pipes come in through the floor instead of the wall. 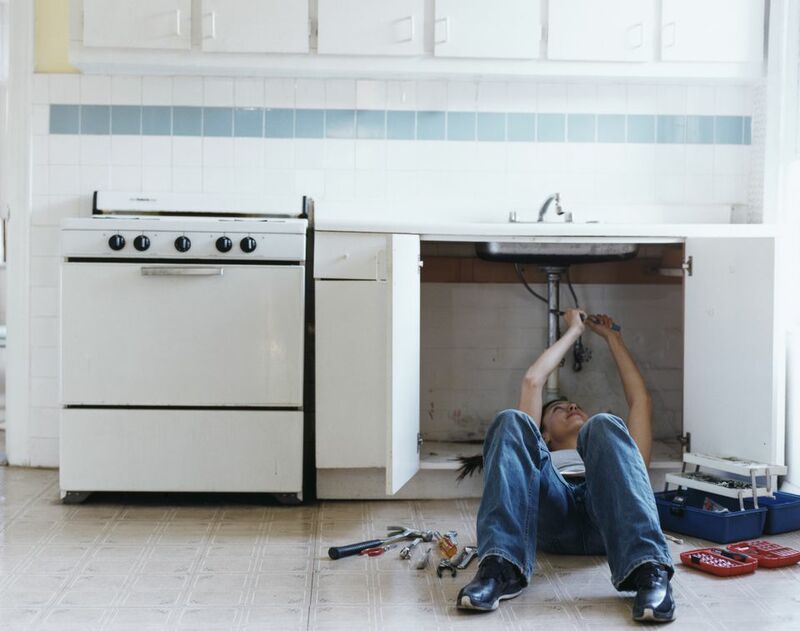 Replacing existing angle stop valves with straight stop valves can make the installation of faucet flex lines much easier. This project is quick and requires only a few items. Note: This guide demonstrates the removal of iron pipe angle stops, compression angle stops are removed differently. To begin this straight stop valve installation you must first shut off the water supply to the house. If you cannot shut off the main water supply valve to the house you will have to go to the water meter and shut the water off there. When you have shut the water supply off open the angle stop valves one at a time to drain any water remaining in the pipes. Use a small bucket to catch the water. 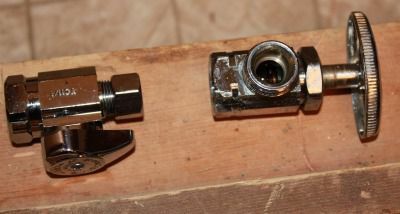 Remove the existing water stop valves using two pliers. Hold the adapter with one pair of pliers to keep it stable. Use the other pliers to unscrew the angle stop valve by turning counter-clockwise. Make sure you counter the force of removing the water stop by holding the adapter still. You can be turning the pipe or adapter rather than the valve if you are not careful. Note: You can also use crescent wrenches or other specialty tools for the removal of angle stops. Once the angle stop valves are removed prepare the pipes for the installation of the new valve. First, remove any residual plumber's tape from the pipe adapter and wipe clean with a rag. Next, apply new plumber's tape to the pipe. Use 4 to 6 wraps of plumber's tape on the threads of the iron pipe adapter. Screw the new straight stop valves onto the pipe adapters by turning them clockwise. Once again use one set of pliers to hold against the adapter and one plier to tighten. Do not over tighten and make sure to position the straight stop valve so that it is easy to shut off. Turn the water supply back on and check for leaks. It is also good to check back in 30 minutes to make very sure that nothing is leaking.